The encyclical Laudato Si’ is the first pontifical document with a universal audience dedicated entirely to the care of creation, referred to as “our common home” in the encyclical’s subtitle. Like never before in history, this “common home” is threatened at a number of different levels. This danger is the result of the irresponsible action of modern man, who possesses technological capabilities – unimaginable a century ago – that could destroy all life on this planet, but often lives in an unprecedented confusion about the meaning of his own life and reality as a whole. However, this encyclical is not the first reference to the problems of the care of creation in recent the pontifical magisterium. The Compendium of the Social Doctrine of the Church, published in 2005, dedicates its entire tenth chapter to the issue under the title “Safeguarding the Environment.” Saint John Paul II made numerous references to the theme throughout his pontificate and made special reference to it in his Message for the World Day of Peace on January 1st, 1990. Benedict XVI was known popularly as the “Green Pope” for his decisions to reduce the emissions of Vatican City and to finance the reforestation of a deserted island in the delta of the Tisza River that had suffered a grave environmental catastrophe in 2000. His magisterium on the beauty of creation, the book of nature “one and indivisible,” the close relationship between our treatment of nature and our treatment of persons, and the need to include the issue of the treatment of creation in the concept of the integral development of man finds its most systematic and synthetic expression in numbers 48-52 of his encyclical Caritas in Veritate (2009). What is certain is that the question of the adequate relationship between man and creation (or what is often inappropriately called the “environmental” problem) has become one of the crucial issues of our time. The answer to this question is closely tied to our awareness of the meaning and implications of our Catholic faith for human life and for the whole of reality. For this reason environmentalism, or conservationism, as we know them today, often see themselves in opposition to traditional Christian positions. Many environmentalists, as well as men and women from other cultures and religions, consider (and not without reason in the praxis of the majority Christians) these positions to be linked to the exploitations of global capitalism. In this link some see a betrayal of the original Christian beliefs (for example, the faith in creation or “the love of the world” that the Gospel manifests in so many ways). Others perceive the Christian faith – based in affirmations about supernatural realities and events – as irrelevant to ecology, having nothing to do with the concern for the environment, concern appropriate to the natural and social sciences. There are even Christians that defend this position to varying degrees. There will be a tension between environmentalism and the life of the Church as long as the reference to Genesis 1:28 – which refers to the “submission” of the earth and of the “dominion” of man over all creatures – is understood as if this submission and dominion were absolute or almost absolute such that this text would come to justify limitless (or almost) industrialization and exploitation of the earth’s resources, or of the earth itself. These positions are not authorized by the Magisterium of the Church, and it could be said that their crudest forms are a thing of the past. However, there is a long way to go before the Social Doctrine of the Church is fully assimilated by the ecclesial body. It is in this context that the recent Magisterium of the Popes and of numerous Bishop’s Conferences on the environment, and particularly the encyclical Laudato Si’ from Pope Francis, acquire their value as an urgent call, for Christians and non-Christians alike. The text of the Holy Father urges us in several ways defined as the “axes that run through the entire encyclical.” The Pope points to “the intimate relationship between the poor and the fragility of the planet, the conviction that everything in the world is connected, the critique of the new paradigm and the forms of power that derive from technology, the invitation to seek other ways to understand economics and progress, the particular value of every creature, the human meaning of ecology, the need for sincere and honest debates, the grave responsibility of international and local politics, “throw-away” culture and the proposal of a new lifestyle” (LS 16). These urgings are directed to all of us: to some, to open ourselves to the hypothesis of a mystery that lies at the heart of reality and deepen in the inherent goodness in the order and beauty of the world; and to others, to take seriously the event of creation that we confess at the beginning of the Creed, illuminated by Christ, giving a name to this good design that we intuit in all created realities and affirming it with certainty and hope as the beginning and sign of a grace “without measure” (Jn 3:34). All of us are called to abandon our cultural and technological solipsism, and to allow ourselves to be moved by the wonder generated by the beauty of reality and the fulfillment that has been promised to us. This path implies many corrections to our ways of life, of action and of thought, of how we conceive of human development, work and the family, politics and the economy. It implies many tasks and many initiatives of different kinds and in diverse fields. Among the tasks that the reading of the encyclical makes manifest (though it could seem small but is actually filled with implications) is the pressing need for a dialogue between the Christian faith (and its theology) and the philosophy and sciences in which ecology is based. It must be a dialogue that allows us to overcome the isolation of theology (and philosophy) from the other fields of knowledge, as well as the reductionisms born of a scientific reason that is positivistic or a merely instrumental and its consequent exclusion of God from the public forum. The initiative that is here put into action seeks to contribute to this dialogue to the extent of our abilities, and also wishes to promote these tasks and initiatives, these corrections and indispensable changes in our ways of living and of thinking about that which is human and its relationship to the whole of reality to which the encyclical calls us. It wishes to contribute in such a way that our lives and the lives of our human communities draw closer to the infinite beauty of the merciful and loving design of God. Despite the fact that the occasion of the encyclical and the problems it covers – the grave deterioration of “our common home” – are specifically contemporary, the keys of the encyclical are firmly anchored in the Christian tradition. The doctrine and the proposals of the encyclical effectively put into motion the resources of the Social Doctrine of the Church. We must not forget that, as Pope Francis reminds us in his Exhortation Evangelii Gaudium, the social doctrine is not a peripheral add-on or optional to the Christian faith, but rather forms part of the kerygma (see EG 177-179). In fact, the history of the Social Doctrine of the Church, from Rerum Novarum to Laudato Si’, could be read as a progressive growing in consciousness in the face of the dualism that divides that which is Christian from that which is human, the “supernatural” from the “natural,” which has marked modernity. We can speak of a consciousness, on the one hand, of how the human realities, and thus, all creation, is submerged, exists, lives, and has its being in a Mystery greater than itself that transcends it and us, and that is never in our power to decipher completely, but of which we only catch a glimpse. On the other hand, we can speak of a correlated awareness of the fact that the revelation of God and the redemption of Christ touch and decisively alter every dimension of human life and activity, as well as the relationship between human life and the whole of reality. We could describe the latter as a progressive broadening of the fields related to Christian faith and morality, from justice in the conditions of workers, to the affirmation of the limits of politics, to the value and significance of marriage and the family, to the risks of a nuclear conflict and modern war in general, to the point of reaching an understanding about the whole of creation and human progress. The key elements of the encyclical, indicated above, are to be found therefore in the very heart of the Christian event and of its announcement and communication within the kerygma. For the Christian experience of redemption testifies that “Jesus Christ… is the center of the cosmos and of history.” Thus, Jesus is the Alpha and the Omega, the beginning and the end of creation (Rev 21:6, 22:13); or, in other words also from the New Testament, “all things have been created through him and for him. He Himself is before all things, and in him all things hold together.” (Col 1:16-17). Taking these texts seriously means recognizing that Christ has to do with all things, and that all things, from the physical world to every human activity in its diverse forms, has to do with Christ. One of the keys to the encyclical, as the Pope himself points out, is in the affirmation that all things in creation are mysteriously interconnected. And all means all: the rocks and the ice and the moss and the ducks and marital love and the stars. This truth, which our intelligence can sometimes intuit, is demanded by faith in Jesus Christ and in creation as illuminated by Him. Creation has one author, who is God, and it was made by pure love from nothing, upon the model of the generation of the Son, as a kind of spilling-over of this full communication of Himself, that is the generation of the Son, into “what is not God” (but not “outside” of God). God does not create like an engineer designs and constructs a machine, or as an architect draws and builds a building (which, in addition, needs raw “materials” to build with). God creates by a free sharing of participation in His being. Precisely for this reason, creation is not created “outside” of God, nor is God left “outside” of it. Though God infinitely transcends His entire creation, His entire creation is participation, in different forms, in the being of God. Precisely for this reason, every created being is lovable. All of creation deserves love, and the love of creation is, at the same time, always love (more or less true, more or less aware) of God who has created us all. Only within the context of this love of creation can we understand this phrase from Genesis: “God blessed them, and God said to them, “Be fruitful and multiply, and fill the earth and subdue it; and have dominion over the fish of the sea and over the birds of the air and over every living thing that moves upon the earth” (Gn 1:28). The “submission” and “dominion” are only appropriate within a relationship of love that is worship of the true God. Subduing the earth is limited by the truth of God, the truth of creation, and the love of that creation; dominion must be born from love, remain subordinated to love, and be oriented towards love. Mere “exploitation” of creation always contains an aspect of blasphemy. This blasphemy becomes particularly odious when it is human beings that are being exploited, who are the “image” and “likeness” of God (Gn 1:26-27). We can call “blasphemous” any improper exploitation of creation, whether it is of the earth, the water, the air, or of any living creature. It is the implicit blasphemy in this exploitation – the lie that offends the truth of God – that makes this exploitation inevitably turn against us, because the truth of God is also the truth of the world and the truth of man. Precisely because God creates all things as a participation of His being, and because He has created them out of love, all beings – absolutely all of them – form part of a unity and are interrelated, albeit in varied and multiple ways. No being lives in isolation. All things depend on all others to live, and not only those that live at the present, but also those that have lived in the past and those that will live in the future. This characteristic of reality is so important that a current thinker has suggested that “relationality” ought to be included among the transcendental determinations of being, alongside truth, goodness and beauty. The care and stewardship of creation is intimately related to an adequate comprehension of the mystery that we are, the mystery of the human person. An integral ecology requires an adequate anthropology. This adequate anthropology – the key element of any indispensable cultural change – is, in a way, a “widened” anthropology, amplified to account for many more dimensions and factors that are usually considered by modern anthropology. The person of Christ is also decisive here. The participation in the being of God that marks all of creation reaches its fullness in the human person – man and woman – created in the “image” and “likeness” of God: in their equal dignity, in their difference, and in their mutual relationality. The phrase “in Him (Christ) all things hold together” (Col, 1:17) is eminently revealed in them. It is Christ, who by revealing the Father and His loving plan, “reveals man to man himself and makes his supreme calling clear” (Gaudium et Spes, 22). This calling is a calling to love, a vocation to communion with God and with all men and all of reality (Lumen Gentium, 1), it is a calling to the ineffable fullness of eternal life, of the heavenly Jerusalem, of the new Heaven and new Earth (Rev 19-22). The “image” and the “likeness” of God are expressed in many ways. In reality, they are expressed in every truly human action, which are always marked by a unique openness to the infinite and the absolute, without which no human action is intelligible. This openness is manifest in our ability to make promises and establish ties that can become stronger than our attachment to our own lives, as well as in our ability to forgive – an exclusively human, and almost divine, trait. This would mean that, in the first place, the image and likeness of God is not found exclusively in the capacity to reason understood in the sense of a mere capacity to “calculate”, as it has been thought sometimes, in a miserably reductive and false interpretation of the expression “rational animal” (zoón logikón). The “image and likeness of God,” of the true God, of the God that “is love” (1 Jn, 4:18), is especially expressed in his capacity to love and to give himself entirely – to the point of giving his life – as the supreme means of self-affirmation and the truth of the human person. This capacity, which is always receptive to an infinite love and open to give oneself in love, is that which defines our humanity. For the same reason, this is what defines that which is religious – the religious sense. The human and the religious coincide. In other words: that which is religious is not a dimension or a part or an (optional and sentimental) addition to that which is human: the religious is human as such. It is the capacity to be attracted by, to recognize, and to love the Mystery in that which is real, in its infinite density and complexity. This capacity to love needs other capacities, like substructures, that make true love possible in the context of human existence – an existence that is contingent and “historical” as well as simultaneously corporeal and spiritual. These other capacities are: reason, freedom, and affection. Reason is not mere calculation, as we have said, but rather, when it is educated and properly developed, it is the capacity that distinguishes between truth and lies (or falsehood), and establishes hierarchies and relationships among truths, goods, forms and categories of beauty, and integrates new aspects and dimensions into what is already known. Above all, reason is defined by the capacity to open oneself to and to recognize the ineffable Mystery that inhabits all that is real. Freedom also pertains to these substructures, not only as an absence of constraints (or seduction), but also as the capacity – when it is well educated – to freely and intelligently adhere oneself to the true, the good and the beautiful recognized as such, and their respective hierarchies, such that one adheres to the Mystery in which all things exist. With regard to affection, which is less cared for by traditional anthropology and totally abandoned in the dominant educational systems, it is the ability to “form ties” (intelligently and freely) to the good and the truth by virtue of their radiance or attractive force that we call beauty, and to be moved to seek it out, reach it, care for it and protect it (never to possess it as Gollum takes possession of the “ring of power” in The Lord of the Rings). A proper consideration of the human being and his world must necessarily account for the many relationships: the relationship between man and woman; the relationships between the person, marriage and family; the relationships between the person (or family) and its wider communities, from the extended family and the tribe or people to the national or international community; and the relationships between human communities and the world in which we live, both inanimate and living. We must also take into consideration the areas or dimensions in which human life exists and develops: the earth (the area of human work), the oikos (the area of the family in its broadest meaning), the agora (the area of necessary commercial exchange, the economy), and the polis (the area of the political community or diverse political communities). Finally and above all, we must remember that within all of these areas – just as in the diversity of human relations, or among the capacities which we have called “substructures” of love (reason, freedom and affection) – there always exists an inextricable and varied interconnection, in all directions, and of an extreme complexity, but which we cannot disregard when considering the human being. It is the mystery that we are – image and likeness of the great Mystery in which the world exists, for everything is connected, and all partiality is pernicious for the whole. Perhaps there is something missing from this introduction, and it is not something of little importance: the recognition that man cannot understand what is wrong and how to fix it merely through a personal, abstract reflection. It is clear that in order to understand what is wrong – and the path to fix it – it is especially necessary to recognize and be able to make substantial affirmations about the aim and the telos of human life. True morality is not possible without this recognition, as the philosopher Alasdair MacIntyre showed decades ago. Once again we see the religious horizon that we pointed to earlier. We have always begun with the substantive affirmations about this telos contained in the Christian event and brought to us through the Christian tradition. However, this is not what I am referring to when I say that a personal reflection is not enough to understand what is wrong with us and the world, and how to fix it. I am referring to something much simpler and elementary, perhaps we could even say superficial. In order to understand and to cure what is ailing us and the world, we need to observe and observe a lot, observe the real world (something we must recuperate so we can leave the world of “recipes” and abstractions). And above all, we need action. Certainly it is through our actions that we show who we are – the truth or falsehood of who we are – and verify our conversion. Action, all action, always speaks of what we are, of what we believe about ourselves and the world, and of what we believe our happiness and fulfillment are. In this sense, we are always “expressed” in our actions; we tell ourselves who we are through our actions, even more so than through our words. This is why our actions are so essential. What matters most is that we try to express, to the best of our abilities, the truth that we are, despite our modest capacities: we are creatures redeemed by Christ, the center of the cosmos and of history. We must show that this truth is not merely a “consequence” or an “application” of some principles, ideas, or a particular vision. In effect, action is also – and perhaps more than anything else – that which “configures” the way we think about ourselves and the world. Not taking this into account is a large part of the reason why the Social Doctrine of the Church, with all its beauty and clarity about life and its diverse aspects, continues to be little more than a doctrine more than a century after its beginnings in Rerum Novarum, a doctrine that only exists in a few documents that the majority of Christians have not read or heard of. For this reason the encyclical Laudato Si’, just like the other social encyclicals from the pontifical magisterium, is not limited to helping us to understand the evils that trouble our relationship with others and with the world. It proposes life changes and promotes concrete initiatives that express and permit the development of a new consciousness and a new way of looking at reality. We would like to respond to this invitation to action to the best of our ability. The Diocese of Granada – for its geography, its history, the wounds its natural and human environments carry and for the immense possibilities they have, as well as for the specific situation of some of its rural areas – seems to be a very appropriate place for the establishment of an institute dedicated to the study and promotion of the care of creation that transmits, deepens in and puts into action the indications of the Encyclical Laudato Si’. The Institute, aware that there are areas in other parts of the world as well as in other dioceses nearby that could need its work or its help, does not wish to restrict itself to the boundaries of the Diocese. It will not, however, promote activities beyond the Diocese of Granada without the explicit approval of the local Bishop. Therefore, according to my faculties and after having consulted the Episcopal Council, I establish in the Diocese, as a Diocesan work, the INTERNATIONAL INSTITUTE “LAUDATO SI’” FOR THE CARE OF CREATION. The Institute is constituted as a special section of the Theological Institute “Lumen Gentium,” which it will depend upon economically initially, but with separate accounting. Afterwards, for the good of the Church, the Institute could bind itself to one of the existing or future Foundations of the diocese, or could entrust its management, economics, and even its ownership if it were convenient, to one of the juridical, canonical or civil persons that depends or is related to the diocese. In any case, the Institute will always strive to finance its own activities such that they are not a burden on the diocesan budget. Equally, the Institute will strive to obtain, if it is possible, recognition from the Holy See, or even as a Pontifical Institute if it were possible. GOALS: The Institute has two goals: a) the study of and education in the care of creation in light of the Encyclical Laudato Si’ and the tradition of Christian social doctrine; and b) the promotion of active initiatives for the application of the encyclical, and especially for the promotion of community development and entrepreneurship, particularly in rural areas, from Christian communities. 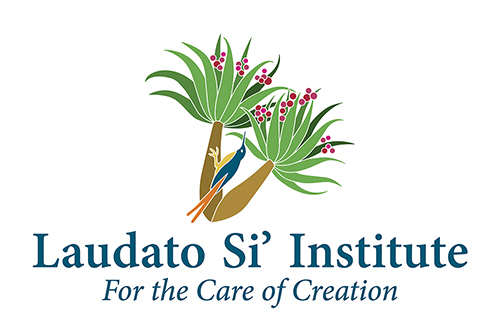 Through all of its activities, the Institute will seek the truth and will pay special attention to the ethics and aesthetics that derive from the Christian event, that is, from the Christian social tradition whose most recent authoritative document is the encyclical Laudato Si’. The Institute seeks to render homage to and recuperate or bring to light a whole series of figures from the 20th century, some of whom are lesser known in Spanish and Ecclesial settings. They have issued judgments about our society or the destructive paths we have taken and have tried to develop proposals from the Faith, in one sense or another, of what Chesterton considered “a healthy society” when he wrote The Outline of Sanity. I am thinking of figures like Leon Bloy, Charles Peguy, Simone Weil and Georges Bernanos in the French-speaking world; and Hillaire Belloc, Gilbert K. Chesterton himself, Charlotte Mason, Dorothy Day, Catherine Doherty, J. R. R. Tolkien, C. S. Lewis, Ivan Illich, E. F. Schumacher, Wendell Berry, Alan C. Carlson, Rachel Carson, Stratford Caldecott, John Milbank and Stanley Hauerwas (and their disciples) in the Anglo-Saxon world. HEADQUARTERS: The Institute will initially have its headquarters, for practical reasons, in the building of the Major Seminary (Paseo Cartuja 49, 18011, Granada), and will have the space it needs there, including offices, as well as archival and library spaces dedicated especially to the collection of books that the Institute creates and will remain separate from the other collections established there, all of them being part of the Diocesan Library of Granada. If in the future, because of the evolution of the Institute, it were more convenient to place some of these installations or initiatives in the Private Educational Center “LA INMACULADA” (Calle Joaquina Eguaras 114, 18013, Granada), in the Sacromonte Abbey, or in the estate known in Granada as the “Hotel del Duque,” the installations could be moved there and either of these two spaces could become, if it were useful for the good of the Institute and the Church, the headquarters of the Institute. GOVERNMENT: The Institute will be governed by statutes that will be established as soon as possible after the promulgation of this Decree, and which will constitute its basic norms. In the measure that the Institute needs to develop them, through regulations or a more detailed set of rules, they need the approval by simple majority of the members of the Institute, as well as that of the Archbishop of Granada. The same requirements apply for the implementation of programs, the annual planning of the Institute’s work, and for the annual approval of the accounts and budgets. Though the Institute is established in perpetuity, these norms are approved ad experimentum at the moment of establishment for a period of five years, which is renewable. The modifications that are made in the future or in their development will be attached to this decree along with the basic programs of the Institute, as they are produced. a) The Institute has an automatic President, who is the Archbishop of Granada. The final representation of the Institute before the ecclesiastic and civil authorities corresponds to him, as does the final approval of the rules and programs of the Institute, the naming of its members and of other positions (Director, Secretary, Administrator, etc. ), and all decisions of importance that affect the life of the Institute. He will also preside, in person or through a Delegate, ad casum or stable, the meetings of the governing members, basically, in this moment, that of the Collegium. b) The Institute is governed by a collegial governing Body, made up of its enumerated members, which is called the Collegium. Initially, enumerated members are those listed below as Founding Members. The number of members is not limited unless otherwise determined by the statutes. This Body suggests, proposes and elaborates the programs and other activities of the Institute and it presents them for approval when necessary. It also proposes the professors of the Institute or the directors of specific initiatives. It promotes the Institute and its activities, according to its goals in the broadest sense of the expression, and seeks to bring them to good end or find people who can do so in the name of the Institute. The Director of the Theological Institute Lumen Gentium is also numbered among the members of the Institute, as well as the Secretary and the Administrator, if they weren’t already for other reasons. The Administrator has a voice but may not vote on the decisions of the Collegium. The Collegium may have a Director, who would also be that of the Institute, and is named by the Archbishop for renewable periods of five years. c) In its deliberations and decision-making, the Institute will always tend towards communion and unanimity. When it is necessary, it will turn to the procedures indicated by the Code of Canon Law. d) The Institute has a Secretary who is appointed by the Archbishop. The Secretary can have executive functions with regard to the decisions taken by the Collegium, or merely fulfill the functions of Secretary as in an academic institution or of an organization without other responsibilities, as indicated in his naming and subsequent contract. e) The Institute will have an Administrator who keeps the books and administers the eventual goods of the Institute according to the norms of the civil and canonical law. The Administrator will be appointed by the Archbishop for renewable periods of five years. At least initially, this Administrator can be that of the Theological Institute Lumen Gentium, or that of another juridical entity of the diocese or related to it that is in someway associated with the activities of the Institute. — Pablo Martínez de Anguita d’Huarte. Forestry Engineer. He teaches in the Department of Chemical and Environmental Technologies at Rey Juan Carlos University, Madrid and has also taught classes at Yale and Oxford. Director of the Institute. — Michael D. Taylor. Holds BA degrees in Biology and Environmental Studies (Bowdoin College, USA) and in Philosophy (Gregorian University, Rome); along with an MA in Bioethics (Rey Juan Carlos University, Madrid). Secretary of the Institute. — Aaron Riches. MA in Religious Studies (University of Virginia, USA); PhD in Systematic and Philosophical Theology (University of Nottingham, UK); Professor of Moral Theology and Anthropology in the Lumen Gentium Institute, Granada. — Ildelfonso Fernández-Figares Vicioso, priest of the Diocese of Granada. Holds a PhD in Theology (John Paul II Institute of Marriage and Family, Washington D.C.). Teaches in the Lumen Gentium Institute, Granada. — María Ángeles Martín. Biologist. PhD, specialist in environmental studies and environmental restoration (Polytechnic University of Madrid). Holds a MA in Environmental Sciences (Yale University, USA). Teaches in the Department of Chemical and Environmental Technology at Rey Juan Carlos University, Madrid. — Connie Lasher. Professor of theology, founder and director of the John Paul II Center for Theology and Environmental Studies (2004-2010), in Maine, USA. Currently, she is an Associate Professor in the Theology and Religious Studies Department at Molloy College, New York City. — Javier Cendra de Larragán. Dean of the Law School / IE University / Honorary Senior Research Fellow at University College, London (Faculty of Laws and Energy Institute). — Sr. Damien Marie Savino, FSE. Dean of Science and Sustainability, Associate Professor of Engineering, Aquinas College, Grand Rapids, Michigan, USA. For a more detailed explanation of the curriculum vitae of each of the founding members, see the corresponding page of the Institute website at www.laudatosiinstitute.org. FINANCING: The Institute is a non-profit Institution. Of course it can receive donations, subsidies, and assistance of all kinds, from ecclesiastical or civil entities anywhere in the world, so that the Institute may fulfill its goals and develop itself, or for its specific activities, programs or initiatives. These donations will be written out to “The Archdiocese of Granada. LS Institute,” as long as the Institute does not have its own juridical status. Together the Diocese and the Institute will keep an inventory of these goods, and the Diocese will include them in its accounting when they are monetary donations, maintaining them as differentiated from the diocesan funds, as well as those pertaining to the Lumen Gentium Institute, and designating them exclusively for the ends for which they were donated. Regardless, the Institute will report its accounting to the Diocese every year. If the Institute were to acquire its own juridical status, the Diocese would transfer all of these goods, of any type, to the Institute, being their rightful owner. In any case, the Institute will strive for all of its works and initiatives to be self-financing through the payments of matriculation fees or other services, and even leave some profits that would be wholly destined to the maintenance and activities of the Institute, as well as to the corresponding maintenance of the Diocesan spaces that the Institute may have used (for example, as a rental). All of the goods belonging to the Institute, obtained by any legitimate means, will be designated, directly or indirectly, towards the fulfillment of the goals of the Institute and the growth of its activities. The Institute can establish any kind of agreement or collaboration with any kind of civil or ecclesial entity, academic or otherwise, in any part of the world, that permits it to better achieve its goals and carry out its activities. ACTIVITIES: The Institute organizes, for the achievement of its goals:A) All types of formative and educational activities (courses of varying lengths, diverse programs including master’s degrees, doctorates or other equivalent programs congresses, workshops, etc. 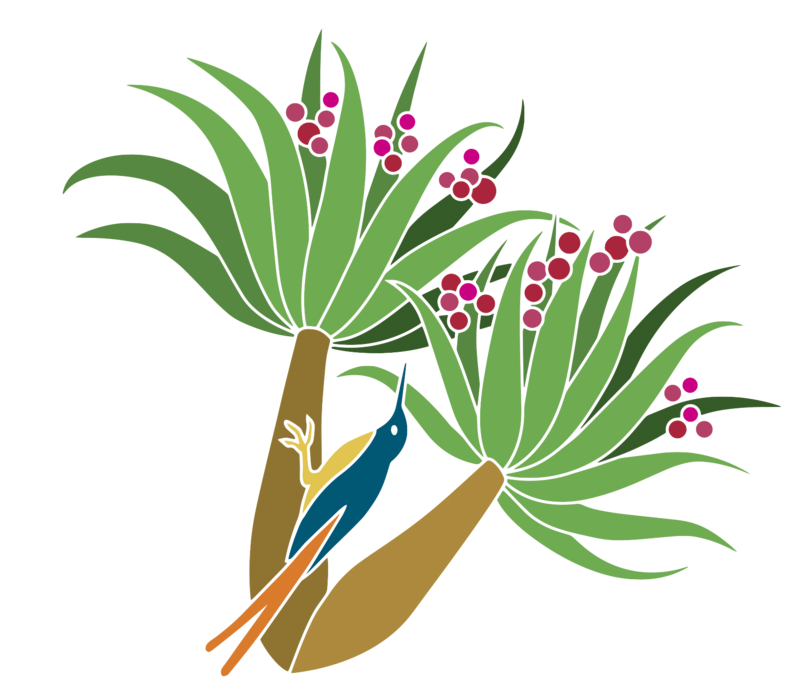 ), online or in-person or partially online, as well as publications of any kind, of any format.B) Additionally, the Institute directly promotes and encourages the initiation or accompaniment of community development and entrepreneurial projects, especially in the rural sphere, as well as conservation, clean-up, or restoration of the environment according to the needs and the means that it possesses and the circumstances of time and location. The Institute will strive, through all of its activities, with the help of the Lord and the intercession of the Virgin Mary, to achieve a true excellence in its human relationships – as is fitting for Christians. These will always be its main interest and its greatest draw, as well as the best guarantee of its academic excellence. It will also seek to be able to offer academic titles one day, one way or another, on its own or through the recognition offered by the competent ecclesial or civil authorities or other academic, ecclesiastical or civil institutions legally capable to do so. From the perspective of the encyclical Laudato Si’ and the recent pontifical magisterium, it is obvious that the Institute’s areas of action and study are necessarily multidisciplinary and that refer to disciplines and material that are often considered incompatible or antagonistic, either in its results or in its presuppositions. Additionally, the Institute is not limited to the “ecology of the earth,” of the plant or animal world, but rather it holds in special regard “human ecology” and the “ecology of human communities,” and its relationship to the ecology of the earth: in other words, human health and the health of human communities, from marriage and the family to the human communities such as municipalities, communities of municipalities, groups or associations of workers or managers, and political communities or organizations of different levels, in addition to the relationships between these communities of the health of the earth and the world. Concretely speaking, the work of the Institute will inevitably include the intersecting perspectives of theology, philosophy and the “pure sciences” (including the “environmental sciences”), and even “sciences,” “arts,” or techniques like medicine, biology, bio-technology, agricultural engineering or social or cultural engineering. The Institute seeks to carry out a continuing critical dialogue with regard to the results of some of these sciences as well as the presuppositions and categories (anthropological, ontological, and theological) upon which each of these sciences or techniques is based and that are used in their particular work. At the same time, all of these branches of knowledge and sciences (including theology), as well as their presuppositions, have a history often little known, and yet, one that is very important in order to comprehend and to act in our society. In addition, the Institute pays attention to and promotes the dialogue between other cultural and religious traditions with regard to the care of creation (human ecology, the ecology of the earth, and their mutual relation). In reality, this critical effort is essential because all sciences – even the most “pure,” like mathematics – and even more so in the technical application of the sciences, contains (most of the time, unconsciously) a vision of the world, of progress, of the ends and meaning of human existence and of reality itself. That is, every science and all technological application of the sciences implies a philosophy (and we can say a theology, even if it is an agnostic or atheistic theology), even though many scientists would probably have a difficult time recognizing the non-scientific (cultural, ethical, philosophical, theological) presuppositions that they inevitably begin from, upon which they depend, and which they also serve. In this way, the Institute seeks to be a concrete way to show the inevitable intersection of all of these fields, without ever censoring the question for the ultimate end of human life and of reality, illuminated and comprehended from the Christian experience of redemption and from the Christian tradition. A special concern of the Institute, given the particular difficulty of the work it undertakes, is the field of education and the philosophy of education, given the profound crisis of education in the western world, especially Catholic education, as well as the paths to recuperate an integral Christian education in the horizon and perspective of the encyclical Laudato Si’. The works of Charlotte Mason and Stratford Caldecott and other similar alternatives acquire a special value and meaning in the context of our concerns. In all of its educational work and its promotion and aid of entrepreneurship, the Institute will always work closely with the parish priests and their communities, and, as far as possible, with the vicariates, movements and ecclesial communities. The same goes for when it does projects outside of Granada, which, as has already been stated, will always be carried out with the approval of and according to the indications of the bishop. In the measure that it is useful for the fulfillment of its goals, the Institute may create as many sections, departments, commissions or work groups as necessary, keeping in mind that all of the Institute’s work is based on the principle that everything is interrelated, and therefore, these divisions ought not to add to the current situation of fragmentation and isolation we see in human relations, in the sciences, but rather the contrary. May this copy of this decree be kept in the Archive of the Diocesan Curia, and may other copies be delivered, one to the Secretary of the Institute and another to the Rector of the San Cecilio Seminary, for the Archive of the Seminary. Signed in Granada on the 13th of May of the year 2016, day of the commemoration of the Virgin of Fatima. By mandate of H. M. R. E.
 See Pope Francis’ Apostolic Exhortation Evangelii Gaudium, 242-243. St. John Paul II, Encyclical Redemptor Hominis, 1. This formulation merely summarizes, in modern terms, the content of the first Christian confession: “Jesus is the Lord” (Rm 10:9, 1 Cor 12:3, Phil 2:11, etc.). Benedict XVI, Encyclical Letter Caritas in Veritate (29 June 2009), 32. 6 Conferral of the Charlemagne Prize, Address of His Holiness Pope Francis (9 May 2016).